It’s about time I had a zoom lens for this camera. Rokinon primes are pretty sweet but sometimes you just need a zoom. It is super sharp and fast too. 2.9 all the way. Marketing for the new Fluke remote monitoring system. Smooth moves with the new Dana Dolly. Just picked up my sUAV rating from the FAA! Legal drone pilot now! I had to go get current on my Private Pilot license in order to have the sUAV license added. Purchased the Mavic Pro and have just completed my first commercial shoot. 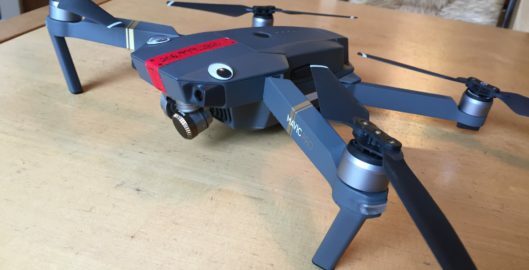 Footage looks great coming from this tiny flying camera. Just picked up the Sony FS7 Camcorder. 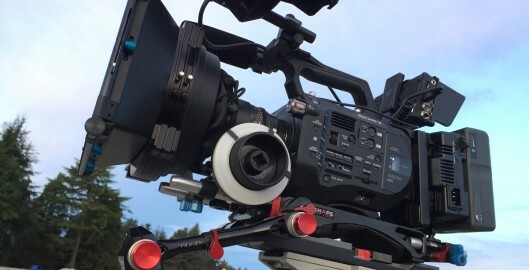 It’s looking great with Rockinon Cine DS prime lenses. 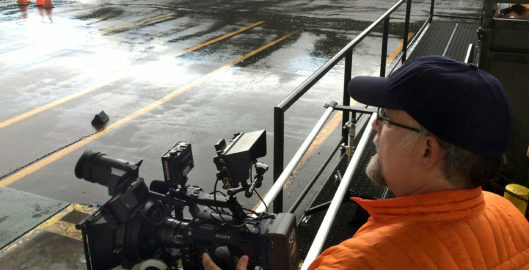 A Shape shoulder mount makes it nice to work with handheld. Using a Video Devices Pix E5 recorder to record 4K ProRes so I don’t have to transcode for editing. Can also record with the Sony XQD cards at the same time if needed for slo-mo or just for redundancy. Loving the Pix recorder! I’ve been wanting to upgrade my camera and finally decided to go back to Sony. Still hanging on to the Panasonic P2 camera for ENG style shoots but this new camera is going to be the primary package now. So far I have three prime lenses and the metabones Canon EF – Sony NEX adapter. Netflix original comedy special just hit the air. Tom Segura at the Neptune. Best one yet, he’s a lot funnier than Doug Benson, sorry Doug. 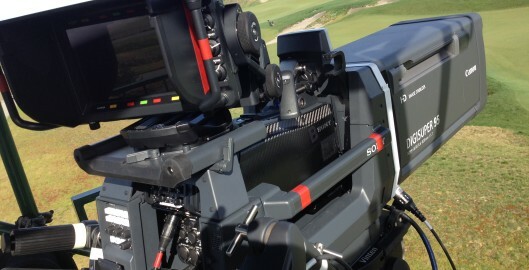 Wish we could always use the F55 Sony cameras. They rock. 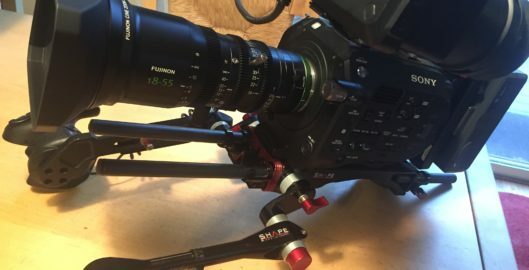 Fujinon Cabrio lenses help a bit too. Getting ready for the US Open! Just scoping out the scene down in T-Town! Sorry University Place, you will always be south Tacoma to me. Brand new truck and fancy Carbon Fiber Sonys! Canon 95x with a stabilizer, probably worth more than my house! They are bringing out all the big guns for this shindig! I’m a greenhorn in the golf world but I was tracking the ball on my first try! Thank you baseball! Nothing beats on the job training! Thank you Fox. 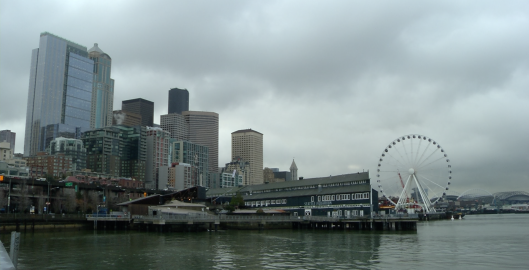 Almost finished up with a quick shoot and edit for the Seattle Aquarium. It’s a series of educational videos for middle school students to watch on iPads. They will be doing some lab work and these videos will be part of a training session on pH and CO2 levels in the ocean. Looking good! 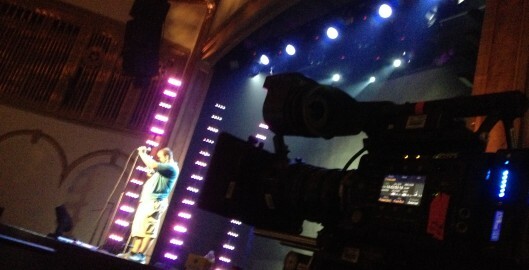 Shooting double system with a tascam dr40 recorder. Sync them up in FCPX in about one second and off we go. Sounds really good. Better than the big camera really. Not really fair but that is the fact. I’m almost done with big cameras. Almost.